Help ensure a long life for all your Blazer products. 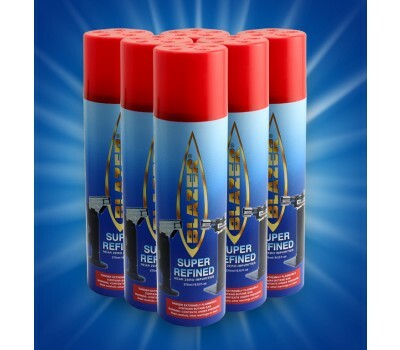 Our premium grade butane gas is specially designed for use with all Blazer products (as well as other product brands). The Butane won't clog your tool with dirt and grime like other brands may. Each long lasting canister of RF-300 Butane gas contains 150 grams of premium grade butane gas. The small parts and orifices on the Blazer tools can become clogged with the dirt and grime found in many other brands of butane gas. Over time this can impair the usual longevity of your Blazer tool. Blazer products are precision engineered with the highest quality parts and materials and should be treated as well as any other well crafted tool. 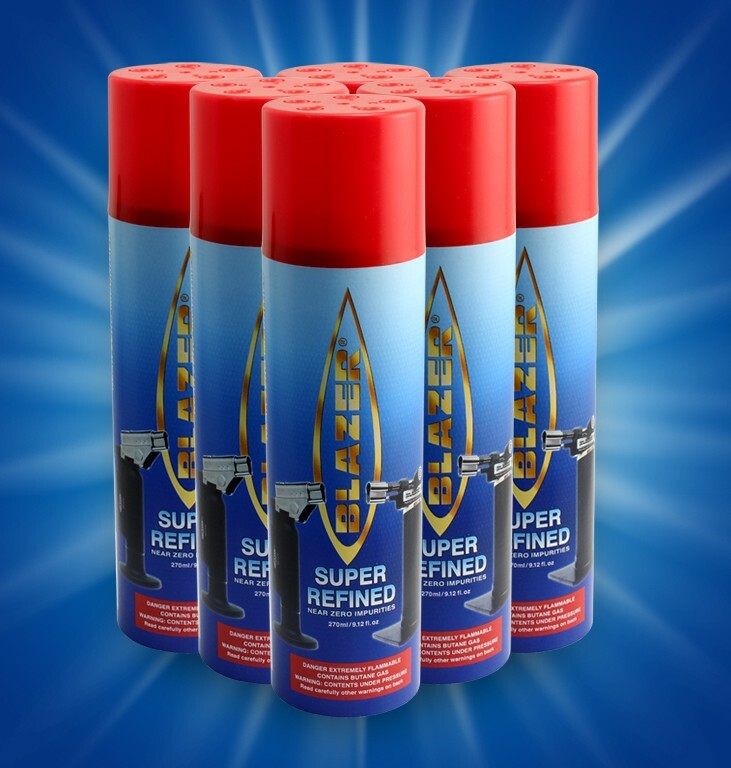 Using Blazer Butane to insure a long productive life is an important part of this process. Warning: Never fill a Torch or Lighter over a sink or similar deep well. Butane Gas is heavier than air and may collect in low spaces and ignite if sparked.